There is a legend that the Abbey at Brittany was home to some of the first planted Cabernet Franc grapes in the soils of France’s Loire Valley. It believed that cuttings came from the Basque region in the 11th Century, over 1,000 miles away. We don’t know who planted what when and exactly where, but we do know the Romans had vines under cultivation in Loire even before that. 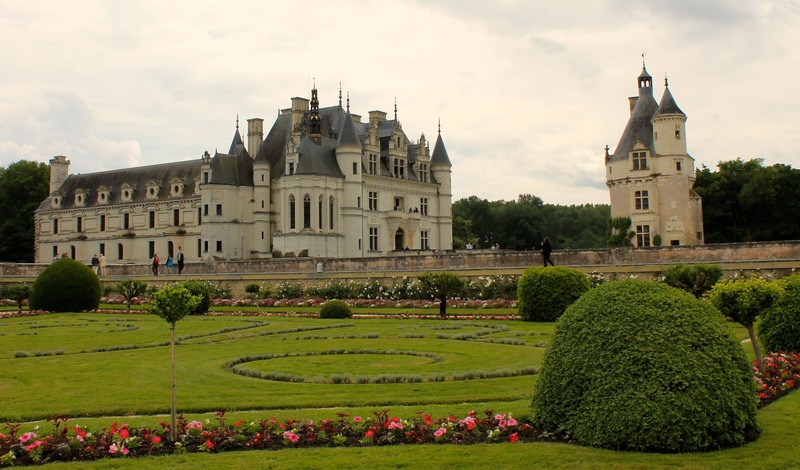 Today the Loire is known for Cabernet Franc, and its stunning castles of which 42 of over 300 are part a UNESCO World Heritage site throughout the 600-mile long valley. Located southwest of Paris it is Frances’ third most prominent wine region behind Bordeaux and the Rhone Valley. Parts of the Eastern Loire are easily accessed by car just an hour drive from Paris, and a main jumping off point for one-day and up to three-day tours. The TGV train can get you to various Western points like Angers and Nantes in less than three hours. 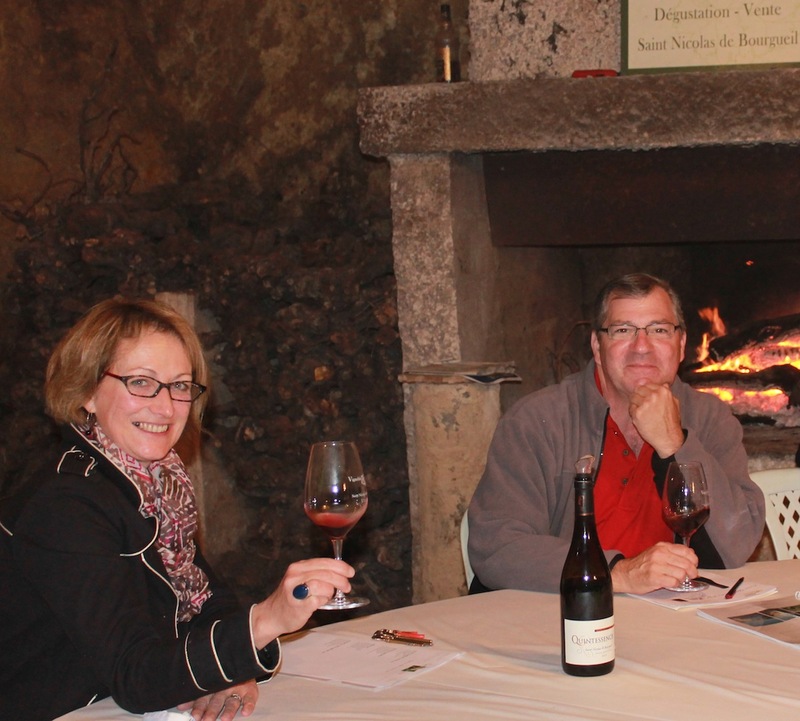 Cabernet Franc in the Loire is the antithesis of Cabernet Franc from California. This should not imply that New World Cabernet Franc is lesser in quality, but to truly understand the origins, complexity and uniqueness of Cabernet Franc, a nothing much of a grape in California, you need to taste Loire thereby giving yourself a reference point. Cabernet Franc in France is picked earlier, rarely gets any oak treatment, has a surprisingly complex acidity and offers specific dark berry notes common to Franc. It is the soils – limestone, clay, and slate – that give Franc its structure. “The acidity is the arrow that gives the wine direction,” says winemaker Fredrik Filliatreau. And what you find from the villages of Anjou to Saumur, to Chinon and Bourgueil is a wine of diverse characteristics. At Domaine Leduc-Frouin in Anjou I visited brother and sister team Antoine and Nathalie Leduc-Frouin who hand harvest 74 acres of Cabernet Franc, some of which was planted by their grandfather 60 years ago. Though this age is not uncommon, Anjou Cab France is meant to be consumed within a few years as it leans towards an expression of light bright fruit. However I also tasted through vintages dating back to 1999, and you clearly see the age-ability of Cab Franc whereby the inherent acidity allows for cellaring. Just down the road another brother and sister team, Helene and Yves Matignon set to work on their small parcel of vines. They, too, are third generation farmers, originally with grapes, cattle and cereal grains, though the most notable thing is the cemetery next door. But as I traveled throughout the Loire I found this to be more common that you would expect: lots of parcels of vines and cemeteries nearby, castles popping up near the major freeway and an abundance of wines you may never get to try unless you come here. 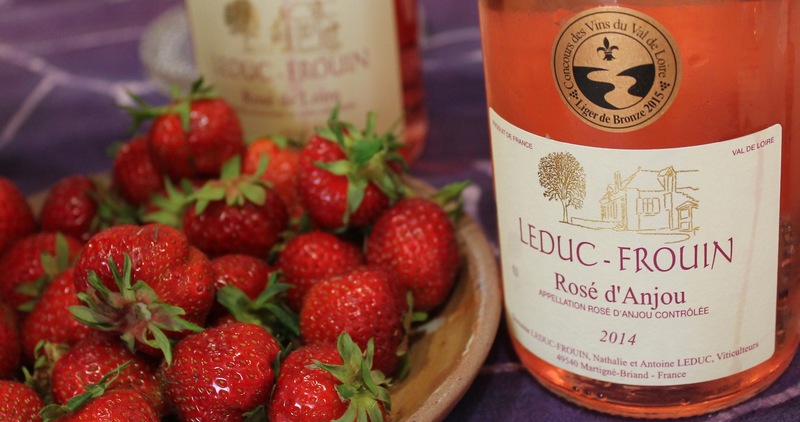 As a contrast to family wineries, Alliance Loire is a co-op of 150 wine growers who produce 80 different cuvées at various price points for an international market. “There’s a saying that Anjou is very soft,” technical director Nicholas Emereau tells me, meaning that the region is temperate in which to grow grapes. The Alliance operates 260 acres of vines in a massive facility. In fact their boxy tasting room belies what’s underground. I go with Nicolas and winemaker Eric Laurent down a tight circular staircase 80 feet into tunnels originally excavated for their stone in the 1700s. Left behind are 33,000 feet of dank tunnels where the Alliance ages nearly 10 million bottles (it was also where the Nazis stored ammunition during WWII). For such a large facility their wines cover a wide spectrum from inexpensive fruity wines to cuvées with rich complex fruit. As I taste through several of their wines, The Boss, Bruce Springsteen, belts out “Born in the USA” over the speakers, a reminder that the Loire is not that far from America. Moving east I visited Domaine La Jarnoteire in the St. Nicholas de Bourgueil region, where Carine Reze took me into caves quarried around 990. It’s deep in these caves, some 60 feet underground that they age their wines in chestnut barrels, a practice they have done since they purchased the property in 1945. Of course it was this exact area that Cardinal Richelieu, in the 1600s, decided would be the exclusive place for Cabernet Franc to be grown. And the Cardinal was right. The Cabernet Franc wines of the Bourgueil (pronounced “bur-goy”) express themselves as the most complex, at least to me, of the other Loire Valley regions. You should not imply from this that other areas are lesser in terms of Cabernet France, but that for my palette Bourgueil was the most comprehensive and Carine’s wine show a lovely maturity. “Our style is for elegance, not powerful wines,” she says to me in her lilting French accent, which her Cuvee Concerto (100% Cabernet Franc) shows. 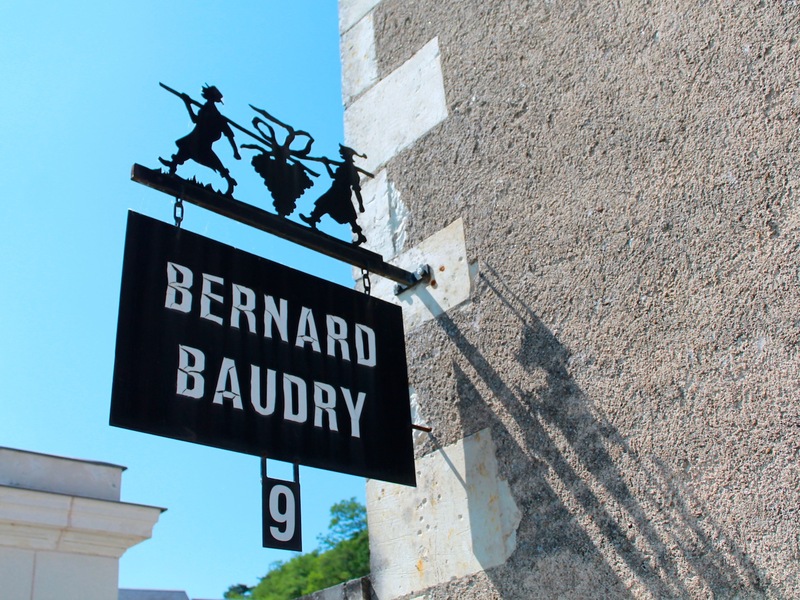 Of course most of the wineries here are family affairs, and winemaker and son Matthieu Baudry of Bernard Baudry (the dad) in Chinon are crafting exceptional wines of depth and character. The family, post-WWII, was growing corn, barley and some grapes, but demand and production of grapes soared after the war, so vineyards increased. Matthieu pulls his grapes from a variety of plots, some hillside, some close to the river and some of the drier flatlands, all of which help to express the intricate nuances his wines achieve. “I am not the boss, my father is not the boss,” he tells me, “it’s the climate and we respect the geology.” What’s under scrutiny throughout Loire is the use of oak in Cabernet Franc; a method typically and historically frowned upon. Some decry that any barrel program with overt new oak pummels the Franc into a California style Franc. However I found that there are some producers who are using French oak judiciously like Domaine Olga Raffault, Domaine du Colombier, and even Alliance Loire to create wines for a public that has diverse and evolving tastes. In addition to stellar wines, the Loire offers stunning castles from hilltop creations to mammoth structures to delicate Gothic buildings. Chinon Castle perched above the town of the same name is the most kid friendly and Hollywood-esque of the castles. Sound effects of swordplay fill the air and cardboard cutouts of faceless knights and damsels allow you a selfie moment. In spite of the kitsch, the history at Chinon is all about Joan of Arc who came here in 1429 for several days to plead with Charles VII to fight the English. 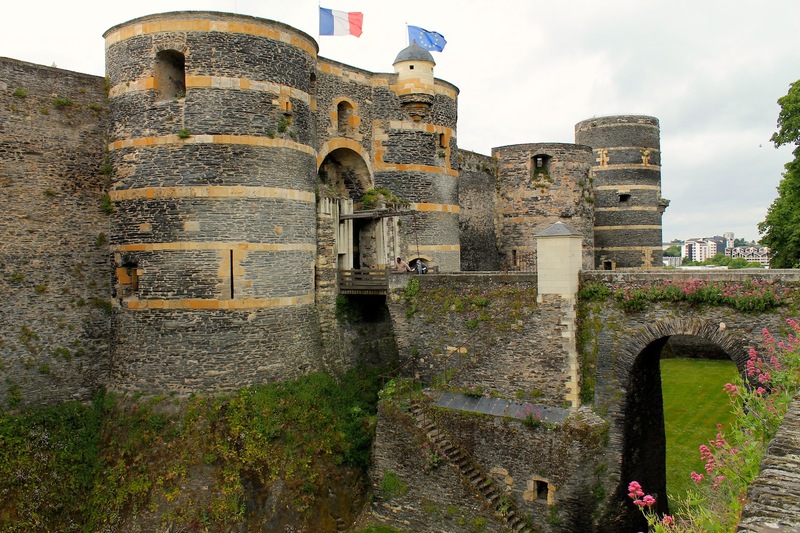 The Fortress at Angers is as imposing as it is inspiring. Seventeen round turrets of local troglodyte stone found throughout Loire (which is why the wines are so mineral driven) allow you to walk nearly the full length of the parapet, imagining you’re keeping your enemies at bay as they sailed up the Main River. This rocky bluff has been inhabited since the 9th Century, but it wasn’t until the 1200s that a fortress began to take shape as a formal installation. It has been expanded upon ever since. Inside the walls is the chapel constructed somewhere about 1410, as well as a royal residence for King Rene in 1435 and other buildings from as late as the 1700s. But the fortress is also home to a temperature-controlled room where the Tapestry of the Apocalypse is housed. Spiritual or not, these 71 hand woven tapestries from the 1370s depict the biblical End of Days in stunning detail and color and, if for no other reason, a visit is a sublime experience in handiwork rarely seen anymore. There were originally 90 tapestries, but they have been lost to time and this darkened room reveals a stunning realization that the colors, skilled weaving and intricate detail of these large fabrics, over 500 years old proves how adept our ancestors were at creating beautiful artwork. Chenonceau castle is the most delicate of the castles; built over a river, it is storybook perfection. It is often called “the ladies’ castle” due to the number of women associated with it from 1547 to World War II, six in all, who contributed to building portions of the castle and to major renovations. It is an elongated home with original hardwood floors. Of particular interest to me was the kitchen and the weathered wood counter, with a bowed portion still visible after years of use. Unlike some of the other more imposing castles, hunting lodges and palaces that are austere, Chenonceau feels lived in, personal and romantic. Chambord, the largest, most visited and most jaw-dropping castle in all the Loire was the part-time home of Francois I. The mammoth structure is unbelievable in terms of scope and mass, dwarfing every other castle, yet fitted with intricate embellishments. Huge stone blocks make up the interiors; ceilings are 30 feet high; some rooms are fitted with two fireplaces as, no doubt, it was very cold in the winter. 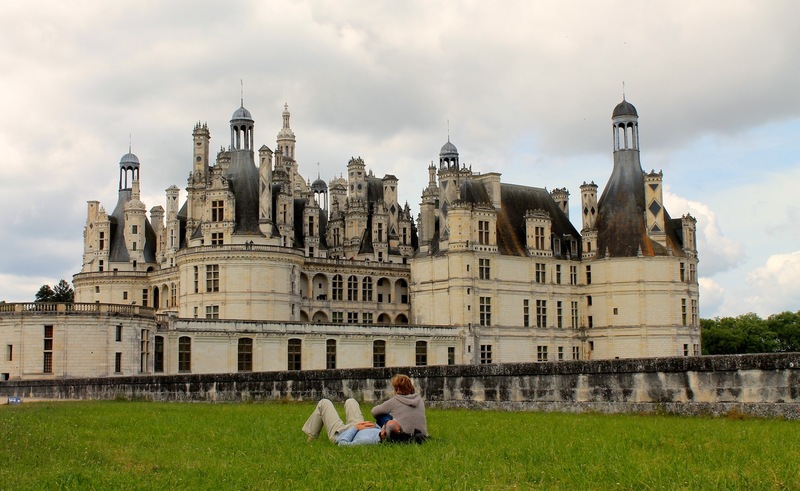 Built as a hunting lodge, Chambord is one of those castles so large and postcard perfect, it’s hard to imagine this was built with such precision in the 1500s; it is the iconic image of the Loire Valley castles. But this is the contrast of the Loire: delicate wines with a rich farming history situated side by side with French royalty, all sitting on precious earth. As Carine Reze of Domaine de la Jarnoterie says, “The best way to taste the ground is to drink the wine.” A visit to the Loire will give you a compass to understand Cabernet France and the visuals of French architecture.